Who needs a thousand words when it comes to mom? There is no denying mom’s talking less and less, but when she says something, you listen and long for every word. I looked back and her eyes were still closed, her head was slowly nodding up and down, and I swear she was smiling. It looked to me like she was totally pleased with herself for, well, being so nice. I don’t know where it came from, but I still can’t get this picture out of my mind, and I don’t even know what it looks like. Posted in aging parent, dementia, life, love and tagged caregiver, caregiving, Circle Center, Helen Laughon, mom, Mother, Tom Laughon. Bookmark the permalink. It was snowing like crazy, and mom was all bundled up and ready to rock ‘n’ roll (that’s what cars and wheelchairs do in the snow) to Circle Center Adult Day Care, aka heaven on earth! 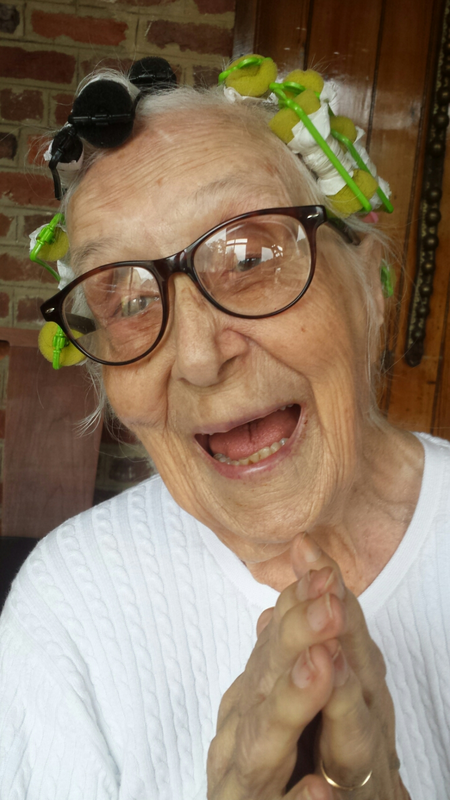 On the way out the door, I asked Carolyn, our caregiver extraordinaire, where mom’s glasses were. Looking back on it now, I realize I was only halfway listening to Carolyn. I think I was focused more on how I was going to conquer the snow and get from Point A to Point B without losing two of my most favorite people on this planet … mom and me! It wasn’t until I had safely made it to Circle Center and was lifting mom from the car into her wheelchair, that I noticed her again without her glasses. I took a picture of her and then just stood there, my eyes fixated on her face, crying. The snow was falling in slow motion, in unison with my tears. It was the first time in my life … my entire life … that I had seen my mom start her day without her glasses. When I first started caring for her, it was a struggle to even get her to take them off at bedtime. And, often, she’d have them on again before getting out of bed in the morning. Maybe she needed them to see her dreams. Who knows? All I know is I never knew. I basically gave her the same explanation Carolyn gave me. They’re always falling off. Mom keeps her eyes closed most of the time now. And, even when they’re open, I’m not really sure she sees much of anything anyway. I tried to pull a smile out of my hat, but it wasn’t working. I bent over to kiss mom’s cheek and say goodbye. Her eyes were closed. I went back out into the cold wondering if my mom would ever see me again. Posted in aging parent, dementia, life and tagged caregiver, caregiving. Bookmark the permalink. Every quarter Circle Center’s all-star caregiver team compiles a report card for each of their participants. Mom has always gotten great reviews, but this one took my breath away! If my report cards had looked like this, I would have brought them home more often. Therapeutic Activities: Helen participates in the daily A.M. Exercise Group, the Sing-Along, and other Music Programs. Helen is sleeping now during the Chair Dance Group’s sensory stimulation activity. Memory and Emotional Support: Helen continues to be quite content in her own realm at the Center, drawing upon an inner reserve of happiness and joy. Relationships: Helen will joyfully interact with just about anyone who passes or takes a moment to engage with her, often speaking or singing in a joyful response. Snoezelen: This controlled multi-sensory environment (MSE) is a therapy for people with autism and other developmental disabilities, dementia or brain injury. Helen participates in the program 4-5 days a week. She responds well to light touch, is observed smiling and rocking to the music. Summation: Helen is, as always, an engaging, happy, joyful soul who rocks! Last night, I helped tuck mom in and then I told her about her report card. I told her how proud I was of her and how much I loved her. Her eyes were closed now. She asked me who I was. I pulled the cover up under her chin, bent over and kissed her brow while I gently rubbed her cheek. I stayed in that position for the longest time, synchronizing our breaths until we were breathing as one. 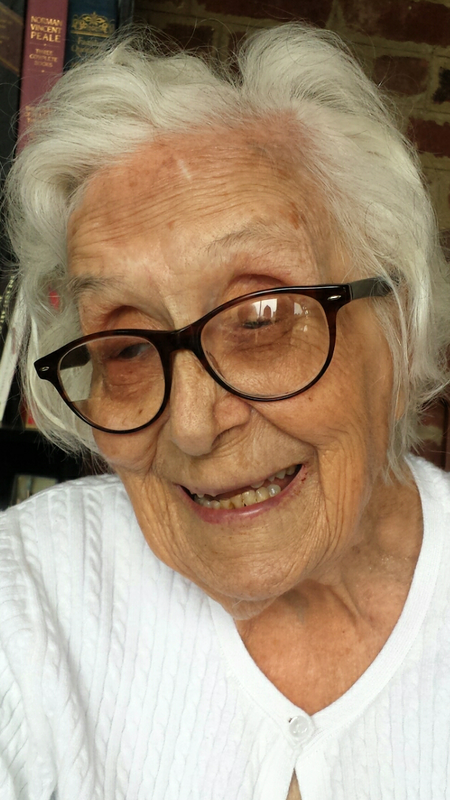 Posted in family, life, love and tagged aging parent, caregiver, caregiving, Circle Center, dementia, elderly parent, Helen Laughon, My 91 Year Old Mom, report card. Bookmark the permalink. Mom, her baby & constant companion, and to her left, going clockwise, are great granddaughters, Kenzie, Tyli and Livi. Mom, her baby & constant companion (I told you her baby was her constant companion) and Livi. This time, take a few deep breaths and look deeply and reverently into the image of Livi and mom … look into their hearts. I feel the gentleness of their touch. I feel the warmth. I feel the desire to care. I feel the need to be cared for. I feel pure unadulterated love all around. I see kindness that is instinctual and comes from a special place within our souls. There is no talking. I hear the breathing. The breath of life. The steady sounds slowly cast their spell … they are hypnotic and comforting. It is the purest scent of all. It is not an incense. It is innocence … the scent of a child that is and was. Do you taste what I taste? I savor the taste of savory. Just imagining what it taste like makes my mouth water. The Japanese word for savory is umami … it literally means “delicious essence”. That’s what I taste … I taste the delicious essence of life when it is lived to the fullest. Please join us, share with friends, and for heaven’s sake, savor every second of the delicious essence of life. We are all in this amazing Circle of Life, together. Feel it. See it. Hear it. Smell it. Taste it. Be brave, be kind, be caring, be grateful … enjoy. Posted in family, life, love and tagged aging parent, caregiver, caregiving, circle of life, dementia, elderly parent, five senses, Helen Laughon. Bookmark the permalink. Melissa and I picked up stakes, our business and our lives, and moved from Tallahassee, Florida to Richmond, Virginia. The sole purpose was to be caregivers. My mom, Helen, and sister, Nel lived together and were both having dementia related challenges that were getting worse by the day. We had observed this for some time, but didn’t even know where or how to help. As time went on, we saw more and more disturbing signs when visiting, and we learned even more through conversations with friends and relatives in Richmond. The whole rationale for moving to Richmond seemed simple at a distance. My family had always been there for me. I had to be there for them. It was the only choice I could make. And, Melissa supported that choice all the way. The challenge was we hadn’t googled “primary caregivers” to even know what our new role really meant. After arriving in Richmond with no plan in hand, exploration, discovery and being totally overwhelmed at every turn would be the be the best way to describe it. We had dealt with hurricanes, sinkholes, alligators, sharks and other dangerous things … but nothing prepared us for this. And, this didn’t even include being homesick for Tallahassee, where Melissa and I started our leadership development firm, Catch Your Limit, had a home, friends and the Gulf of Mexico as our playground. Did I mention we loved to fish?! Mom had even asked someone to call Henrico County Sheriff’s Office upon seeing the moving van arrive to let them know that we were not needed or welcomed here and to have us escorted from town if necessary. Our move was threatening to them in so many ways. But, Mom and Nel were running out of options. Once on a visit, we talked with them about driving and took away their car keys and disconnected the battery only to have “friends” step in, override our family decision and enable them to get on the roads and endanger themselves and others once more (Nel could no longer find her car when parked in the 7-11 parking lot … the 7-11 she and mom visited multiple times daily to get Big Gulp refills). And, there were lots of dents all over their car that they could not explain. No telling how many they left on other people’s cars. Mom and Nel collectively refused medical attention of any sort. And, in the year before we moved, Mom’s attorney had contracted with 24/7 caregivers, which was most needed, but the estate was hemorrhaging so much money that we were already having discussions about when their assets would need to be liquidated. Only once we moved were we able to dedicate the time necessary to navigate the available resources, build a team and understand how to ask for help. Fortunately, within a couple of months, we found a doctor who would make a house call and my sister’s behavior was diagnosed as early-onset Alzheimer’s. My daughters and I were grieving for Nel, she had passed away March 28th, just a little over one month shy of turning 65 on May 10th. 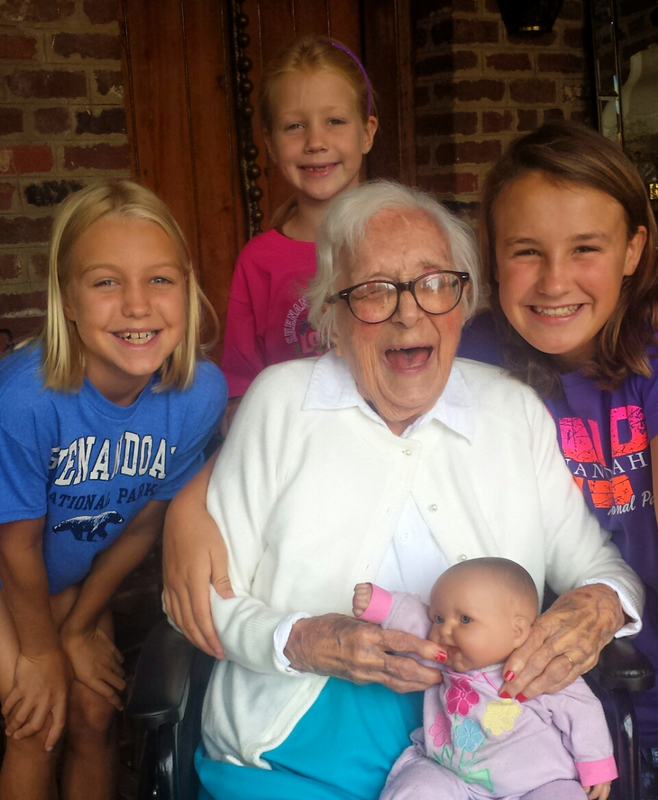 One year to the day after we moved to Richmond, I started this blog … my91yearoldmom.com. I decided to keep the domain name, and celebrate her new age and stage every Christmas Day. 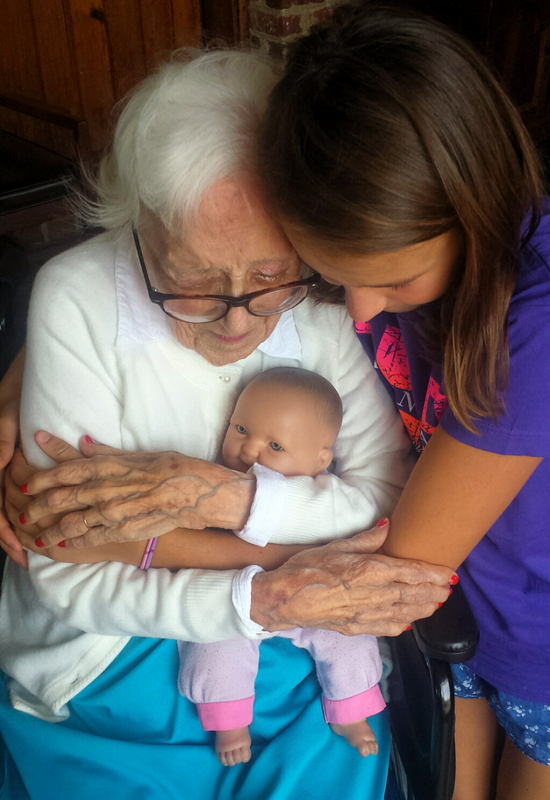 Yep, mom was a Christmas baby … and this coming Christmas, she will be 96. I wrote a blog titled “Step Mom”. It was about having permanently grounded mom, but not for bad behavior, goodness no! You will have to click on the title to read the rest of the story. Between that first May date (that seems like one part yesterday, and one part an eternity ago) and now, so many things have happened. So many lessons learned. So much still to learn. I am grateful for my mom for continuing to be my inspiration and my teacher. I am grateful for becoming a caregiver. I am grateful for my entire family that supports me, even as I learn. I am grateful to you for being a part of our journey. That choice Melissa and I made to move here in May, five years ago … it was the right choice … it has changed our destiny, who we are and who we will be, forever. Posted in family, life, love and tagged aging parent, alzheimer's, caregiver, caregiving, dementia, elderly parent, Helen Laughon, My 91 Year Old Mom, Nel Laughon, Tom Laughon. Bookmark the permalink. OK … Mom has a hit on her hands! “You speak my language,” seems to be the resounding consensus from fans, followers and drop-bys alike after viewing mom’s first video, Our Secret Language. The sequel, A Joyful Noise, was also a one-take, no-editing-needed video. And … for now … these are the two and only two videos I have of this incredible exchange between mom and me. It may sound like babel (with a pinch of Frenglish) to some, but to me, it is mom’s and my secret language … one that somehow connects us both … in it the illusive meaning of life may be just a translation away. No subtitles included or needed. After all, love and laughter are the universal language. Posted in family, life, love and tagged aging parent, caregiver, caregiving, dementia, funny video, Helen Laughon, My 91 Year Old Mom, Tom Laughon. Bookmark the permalink.